3D printing and additive manufacturing are changing the way products are designed and manufactured in industries from aerospace to electronics. As the use of these innovative technologies booms, FATHOM is helping firms aggregate and visualize growing data volumes in real-time, using a business intelligence platform powered by IBM® Compose. 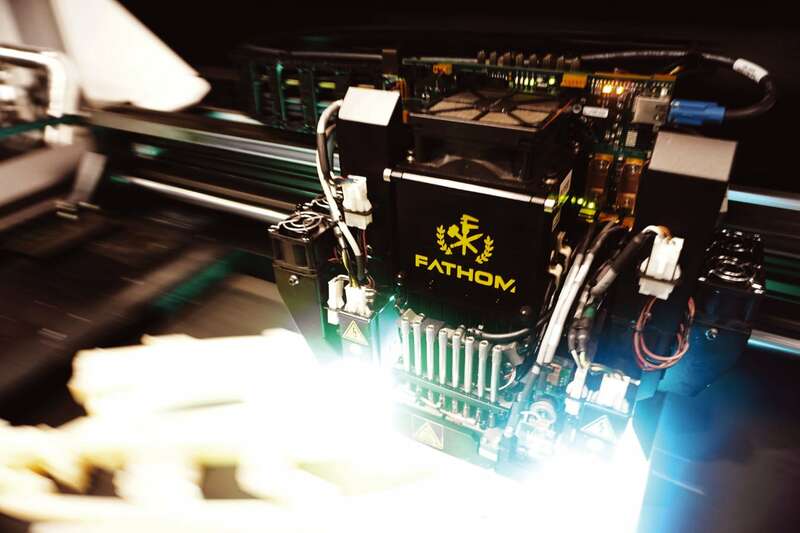 As FATHOM's 3D printing and additive manufacturing business grows, it needs accurate insight into operations to help customers get the best business value from applying these advanced technologies. FATHOM developed a powerful business intelligence tool that is enabling customers to further benefit from the transformation of 3D printing, while navigating changes in scale and production volume. 3D printing is transforming our world, helping to drive ground-breaking advances in industries such as healthcare, electronics, and aerospace. These advanced technologies are enabling major scientific discoveries and revolutionizing manufacturing processes. The 3D printing industry itself is also undergoing a transformation, as it shifts to additive manufacturing, using this technology for real products, and not just prototypes. It is now used to create everything from prosthetic limbs for humans and animals, to futuristic concept cars, soft robotics for navigating hazardous environments during rescue operations, and miniature satellites for the European Space Agency. At the heart of this major growth industry—one that is expanding at around 30 percent each year and is expected to be worth more than USD 30 billion by 2022—is a company called FATHOM. Having started out in 2008 as an authorized partner of Objet and Stratasys 3D printing and additive manufacturing systems, FATHOM has grown to provide full high-end advanced manufacturing services, as well as pioneering research into new uses for additive technologies and the ways in which it can “make the unmakeable”. FATHOM leads innovative projects across all industries; its work continually demonstrates freedom of design and high complexity in ways not previously possible: Project Crucible, a scientific incubator that enables biologists to develop synthetic organisms in a simulated Martian-like environment; Project Pyra, a 3D printed oven showcasing the divergence between additive technologies and traditional methods, and BOOMcast, an IoT-enabled leg cast, 3D printed for TV show host Mike North, which allowed doctors to monitor his leg from anywhere in the world. Dr. Carlo Quiñonez, Director of Research at FATHOM, explains: “We provide the full range of manufacturing services during product development from one or two prototypes, to engineering foundation runs, and even short-run production of up to 100,000 units.” As FATHOM operates with relatively new technologies, the company has had to overcome many hidden complexities to take its place at the forefront of the additive manufacturing revolution, applying skills and experience to this new transformation. 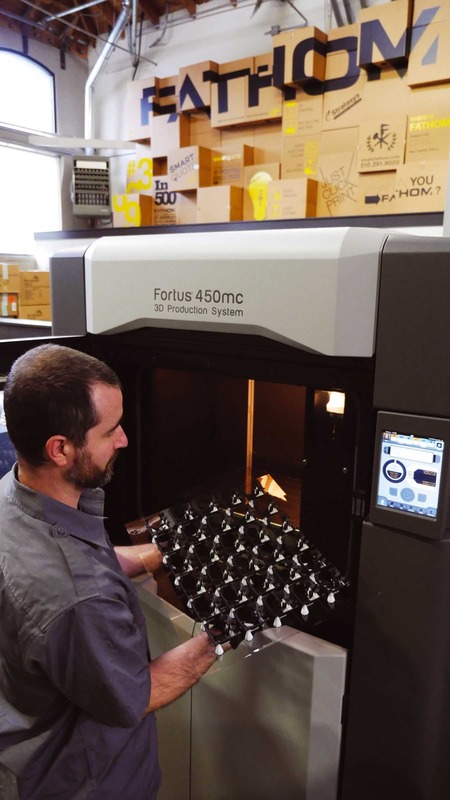 As companies increase the scale and volume of their additive manufacturing operations, FATHOM realized that it had the knowledge and experience to help other companies optimize their advanced manufacturing processes. FATHOM began planning a software tool to improve 3D print business performance, and knew that it would need a rock-solid infrastructure to underpin the solution. Supported by IBM technology, FATHOM is sharing its extensive knowledge and experience with its customers, and helping to advance the 3D printing industry at large as it continues to grow into new application areas. Armed with FATHOM Analytics, clients can optimize their manufacturing processes to perform the most efficient print runs possible. Users in 3D print farms receive real-time metrics that show how best to schedule builds to generate the best yields, and how to eliminate even the smallest 3D printing errors. Underlying the success of the FATHOM applications is the ability to select and deploy the databases required to support FATHOM’s developers’ workloads. IBM Compose puts that critical database infrastructure just a click away, and the fully managed service—covering backups and full server administration—ensures FATHOM’s developers have no need to worry about day-to-day database management, and can focus on adding functionality to the applications. Quiñonez concludes: “It was really clear to me that the best way is to just go with the managed database service, rather than doing it ourselves. Maybe at some point, we’ll revisit that value proposition. But that’s way down the road—for now, working with IBM Compose enables us to focus on helping other companies push additive technologies to the forefront of their respective industries. As the product grows, I'm confident IBM will be able to help us through the challenges of scaling our platform as well." FATHOM is driven by advanced technologies that enhance and accelerate a company’s product development and manufacturing processes. Every day, industry-leading companies leverage FATHOM’s expertise to put satellites into orbit, electric cars on freeways, and a full spectrum of devices into people’s hands and homes. FATHOM’s services focus on prototype fabrication and production parts by way of uniquely blending additive technologies and materials with foundational manufacturing methods—companies go from concept to prototype to production in a way that wasn’t previously possible. © Copyright IBM Corporation 2017. 1 New Orchard Road, Armonk, NY 10504. Produced in the United States of America, August 2017. IBM, the IBM logo, and ibm.com are trademarks of International Business Machines Corp., registered in many jurisdictions worldwide. Other product and service names might be trademarks of IBM or other companies. A current list of IBM trademarks is available on the web at “Copyright and trademark information” at ibm.com/legal/copytrade.shtml. This document is current as of the initial date of publication and may be changed by IBM at any time. Not all offerings are available in every country in which IBM operates. The client examples cited are presented for illustrative purposes only. Actual performance results may vary depending on specific configurations and operating conditions. THE INFORMATION IN THIS DOCUMENT IS PROVIDED “AS IS” WITHOUT ANY WARRANTY, EXPRESS OR IMPLIED, INCLUDING WITHOUT ANY WARRANTIES OF MERCHANTABILITY, FITNESS FOR A PARTICULAR PURPOSE AND ANY WARRANTY OR CONDITION OF NON-INFRINGEMENT. IBM products are warranted according to the terms and conditions of the agreements under which they are provided. The client is responsible for ensuring compliance with laws and regulations applicable to it. IBM does not provide legal advice or represent or warrant that its services or products will ensure that the client is in compliance with any law or regulation.